If you were to enter your nearest public house and ask the assembled throng which Final Fantasy game is best, well, you’d start a fight. But the name you’d hear bellowed most frequently above the cacophony would be Final Fantasy VII, Square Enix’s 1997 PlayStation tear-stealer. Squeenix themselves actually name it the “quintessential Final Fantasy experience” , I guess they’ve cleared that one up. The PC version was first released with support for modern hardware and controllers via the publisher’s own store last year, and has hopped over to Valve’s service with 36 Steam achievements. It’ll set you back £9.99 / $11.99. 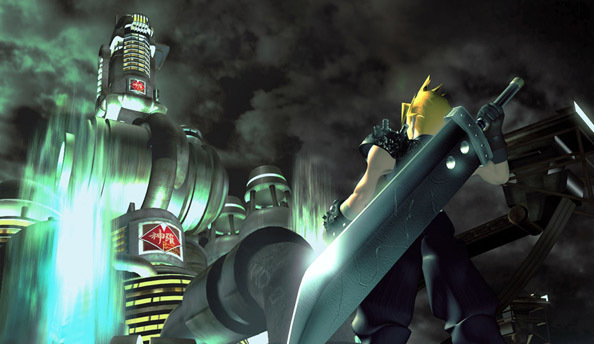 The new Final Fantasy VII also comes with Cloud saves, fittingly enough, and a Character Booster tool that can see you out of those impossible situations that JRPGs tend to specialise in with a cheeky tweak of the old HP and MP bars.